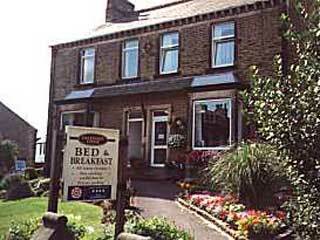 25 B&Bs & Hotels in Skipton from £38 - Book Now! Known as the 'Gateway to the Dales', Skipton is perfectly positioned to act as a superb base for exploring this dramatic part of the country. The town was listed in the Domesday Book, and has been a prosperous market town for many hundreds of years. Today its economy focusses on tourism and the recruitment industry, although finance and the retail sector also play major roles in the fortune of this town. Skipton Castle and the 18th Century canal are just two examples of the history that's waiting to be explored here. For those who like to go off the beaten track, the Yorkshire Dales National Park is just to the north, offering plenty of opportunities for outdoor activities such as hiking, cycling and climbing. With the nearby towns of Keighley and Burnley easily accessible, there's much to explore in the surrounding area.